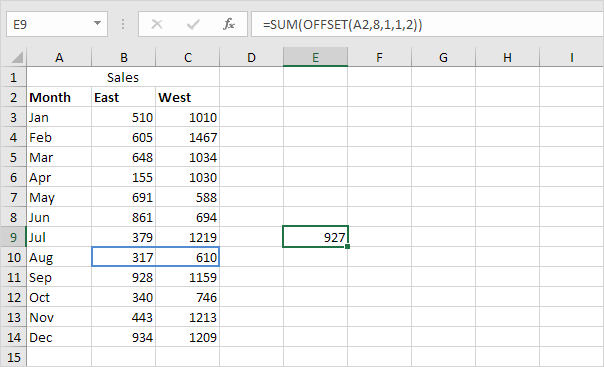 How to Use Offset Function in Excel? 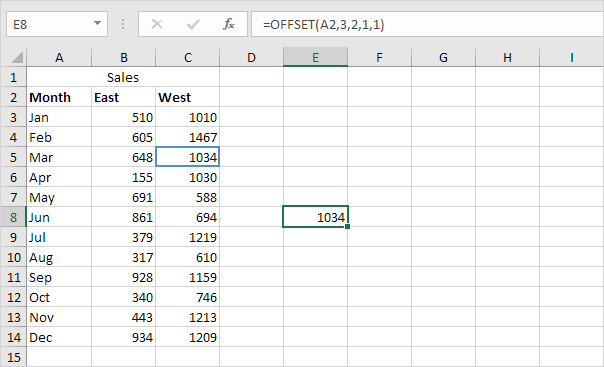 Home > Blogs > How to Use Offset Function in Excel? 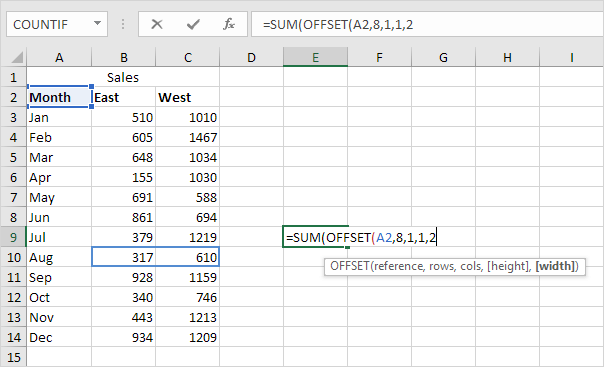 OFFSET function in Excel returns a cell or range of cells that is a specified number of rows and columns from a cell or range of cells. 1. The function below returns the cell that is 3 rows below and 2 columns to the right of cell A2. 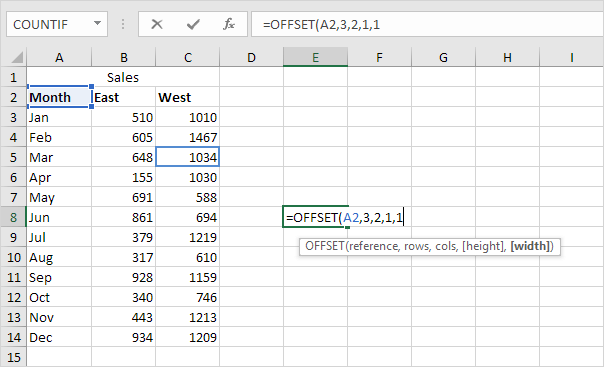 The OFFSET function returns a cell because the height and width are both set to 1. 2. The function below returns the 1 x 2 range that is 5 rows below and 1 column to the right of cell A2. The SUM function calculates the sum of this range. Note: to return a range (without calculating the sum), select a range of the same size before you insert the OFFSET function. If you want to return a cell or range of cells that is a specified number of rows above or columns to the left, enter a negative number.